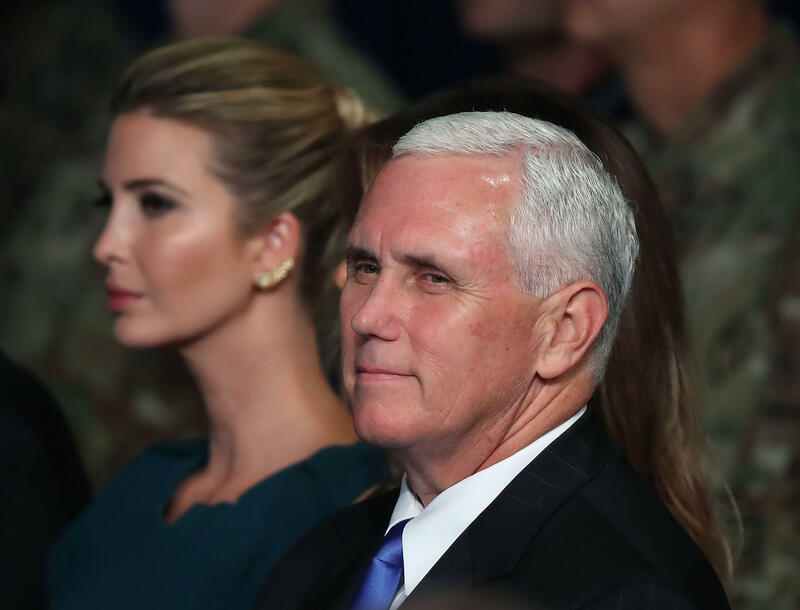 Pence says troop numbers in Afghanistan "yet to be seen"
After President Trump unveiled the nation's latest strategy for fighting in Afghanistan which would possibly include increasing the number of troops on the ground, Vice President Mike Pence told NBC's "Today" show that while he supports the plan, that exact number is "yet to be seen." When asked by NBC's Matt Lauer on Tuesday if the Pentagon's June request for nearly 4,000 troops to deploy to Afghanistan was an accurate number the president was considering, Pence said the administration would be "making that information available as the presidency receives recommendations." "What the president has decided is to deploy a sufficient number of troops at the brigade level in Afghanistan, to assist the Afghans who are in the lead, who are at the tip of the spear in this fight, to assist them in the fight against the Taliban, al Qaeda, ISIS that are there and also the president is going to make available additional air combat resources, using those brigade level personnel to call in the firepower," Pence said of Mr. Trump's new strategy. He added, "we're there to to help the Afghans win, the president made a commitment that we're going to be there until we win, and the American troops, with new rules of engagement will be able to accomplish that there, just like they're doing in Iraq and in Syria." Pence went on to say that the new strategy will be based on conditions on the ground, which is a "fundamental change in the approach" Mr. Trump is taking in Afghanistan. "In the past, the last administration in particular, we had a changing strategy and changing tactics on the ground. There were artificial timetables for the withdrawal. What President Trump has made clear is conditions on the ground, the drive toward a stable and peaceful Afghanistan, will drive American policy and will drive American decisions in the region," added Pence. While Mr. Trump was vague on exact movements for U.S. troops into the region in his speech, he admitted that he had wavered on the initial strategy, saying he was once supportive for backing out of the war altogether, but has since revised his thinking at the advisement of his military chiefs.